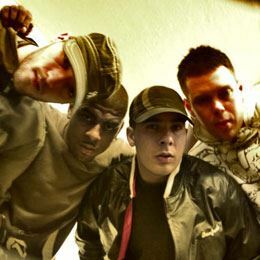 Virus Syndicate are DJ/producer MRK1 and MCs JSD, Goldfinger & Nika D. Hailing from Manchester. MRK1 (Formerly Mark One) is one of the leading heads in the ever evolving dubstep scene and combined with his heavy electro, grime, hip hop and jungle influence his sound provides a super-sonic platform for the lyrically astounding mc’s. From satire to irony, humour to sincere, gangster to political commentary… Virus Syndicate offer an interesting perspective on life and a much needed breath of fresh air for the urban/dance crossover fan base.